Under the umbrella of the National Database for Clinical Trials (NDCT) related to mental illnesses, the National Database for Autism Research (NDAR) seeks to gather, curate, and make openly available neuroimaging data from NIH-funded studies of autism spectrum disorder (ASD). NDAR has recently made its database accessible through the LONI Pipeline workflow design and execution environment to enable large-scale analyses of cortical architecture and function via local, cluster, or “cloud”-based computing resources. 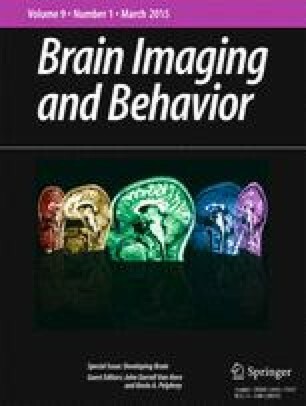 This presents a unique opportunity to overcome many of the customary limitations to fostering biomedical neuroimaging as a science of discovery. Providing open access to primary neuroimaging data, workflow methods, and high-performance computing will increase uniformity in data collection protocols, encourage greater reliability of published data, results replication, and broaden the range of researchers now able to perform larger studies than ever before. To illustrate the use of NDAR and LONI Pipeline for performing several commonly performed neuroimaging processing steps and analyses, this paper presents example workflows useful for ASD neuroimaging researchers seeking to begin using this valuable combination of online data and computational resources. We discuss the utility of such database and workflow processing interactivity as a motivation for the sharing of additional primary data in ASD research and elsewhere. This work was supported by the National Institutes of Health grant “Multimodal Developmental Neurogenetics of Females with ASD” (5R01MH100028-03) to K.P. and its sub-award to J. D. V. H. In addition, NIH grants MH083320 and HD004147 support D.N.K. and C.H. We wish to thank the NDAR staff assisted in providing information, data and techniques that contributed to this publication. Finally, we acknowledge the dedicated staff of the Institute for Neuroimaging and Informatics at the University of Southern California. Carinna M. Torgerson, Catherine Quinn, Ivo Dinov, Zhizhong Liu, Petros Petrosyan, Kevin Pelphrey, Christian Haselgrove, David N. Kennedy, Arthur W. Toga, and John Darrell Van Horn declare no actual or potential competing conflicts of interest.